In the deep South, where love and hatred run deep and close, dissension often summers just beneath the surface. When a family gathers for a funeral as its old homestead above the waters of Mobile Bay, it must carry out the last wish of the aunt and sister whom it has come to mourn. It is a wish that will unearth a terrible secret, one that will either tear her siblings and their offspring apart or allow them to accept buried memories, wounds, and love. 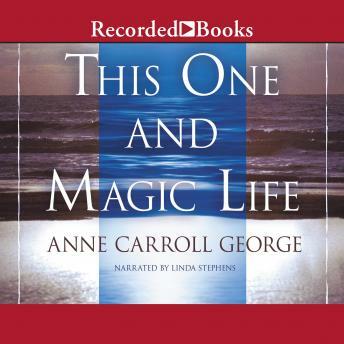 In This One and Magic Life, Anne Carroll George has created as brilliant portrait of a Southern family in all its glory, captured in a moment of searing intensity and lyric truth. Rich with wisdom and deep understanding this compelling saga the twentieth century - and tells a story that is truly timeless.